Long Live Cinema acquires the India and U.S. distribution rights for Vinod Bharathan,s first feature KARMA CARTEL at Berlin. Long Live Cinema acquires India and U.S. rights for Karma Cartel at Berlin Film Festival. 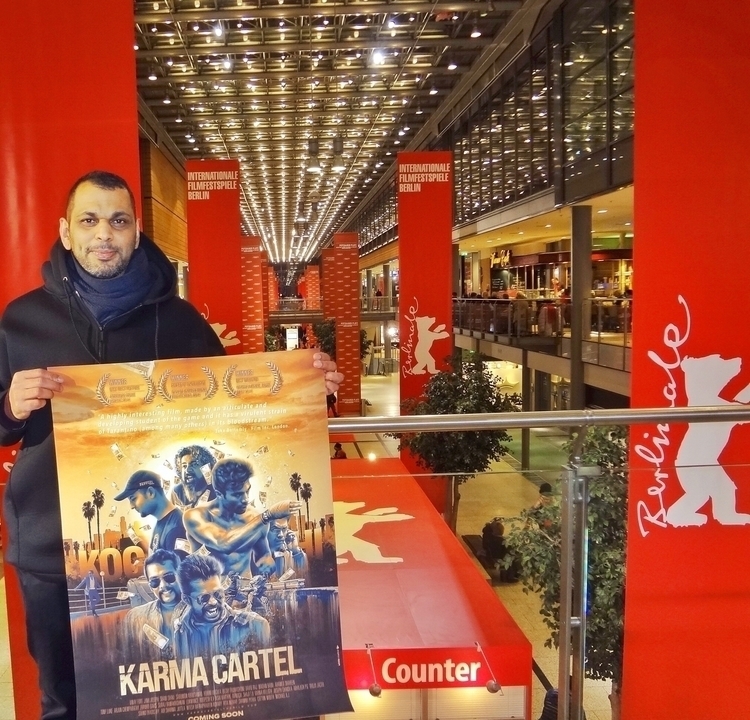 Long Live Cinema to release Karma Cartel in India and U.S.
Vinod Bharathan’s first feature about Kochi scores India and U.S. distribution deal at Berlin Film Festival. Vinay Forrt and Jinu Joseph-starrer Malayalam film “Karma Cartel”, debut directed by Vinod Bharathan, will now be released in India and U.S. by Long Live Cinema. The deal was struck at Martin-Gropus-Bau where European Film Market 2015 was being held in conjunction with Berlinale, Berlin Film Festival. 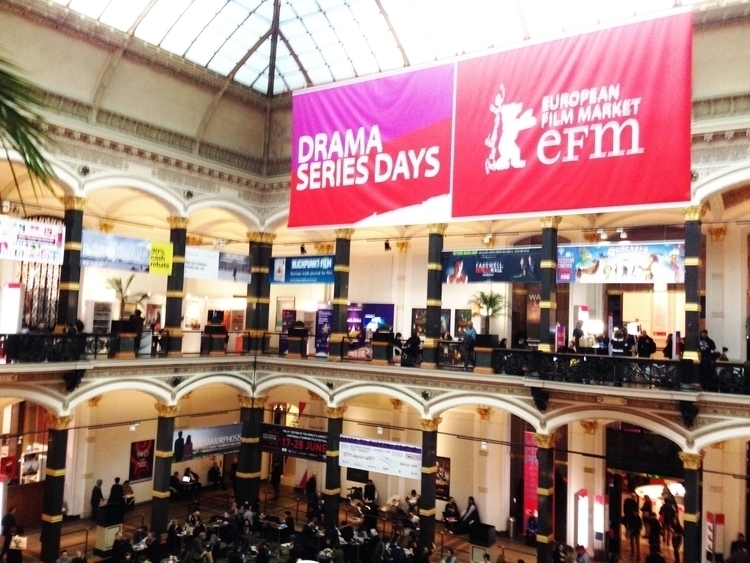 The European Film Market (EFM) is one of the most important international film industry gatherings, which attracts about 1,499 international buyers and screenings of about 784 films. The deal was struck between Vinod Bharathan and Shiladitya Bora, for Long Live Cinema who will distribute Karma Cartel to select theaters in India and U.S. Negotiations are also on for other territories like Brazil, Australia and Europe. Previous to starting his own distribution outfit Long Live Cinema, Shiladitya Bora had conceptualized and run PVR Directors Rare since 2012 and facilitated the successful run of about 85 indies like “the Good Road”, “Moonrise Kingdom”, Oscar winners like “Amour” and “Inside Llewyn Davis”, and acclaimed documentaries like “Fire in the Blood”. Vinod Bharathan’s film has been traveling the film festival circuit world-wide and has won awards at Canada International Film Festival, Vancouver, American Movie Awards Nevada, and Cinemavvenire Film Festival, Rome Italy. 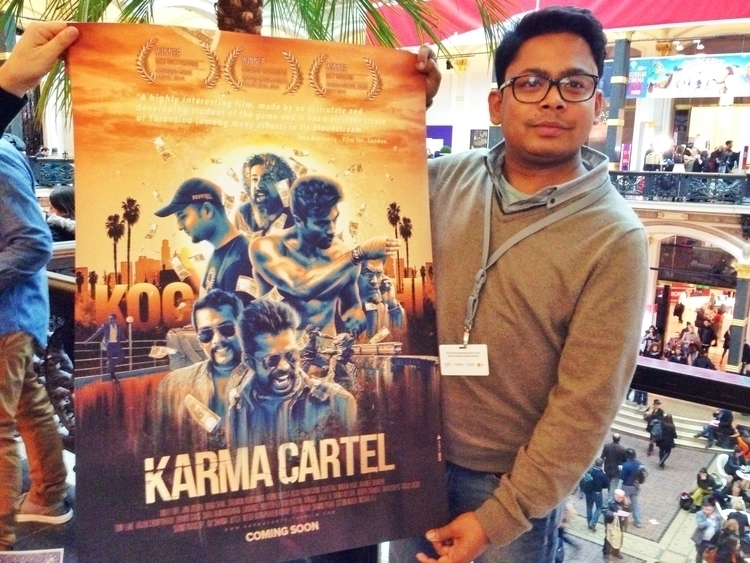 Shiladitya Bora was observing Karma Cartel’s journey and crossed paths at Berlin Film Festival where Vinod Bharathan was attending to promote his film. Karma Cartel is slated for release around June 2015, and will have be played on limited screens around the country. Vinod Bharathan agreed to this deal since he felt that the avant-garde nature of the film will be a hard swallow for the traditional Malayalam film-goers, and he also feels that his audience - specially the urban youth population, is spread around the nation. Shiladitya Bora is an expert in handling such content and delivers the film to the right audience with all his love for the cinema. Having a limited release for Karma Cartel is a strategic move to find my audience as i have two other films in production, one of which is already filmed - adds Vinod Bharathan.